Hello! 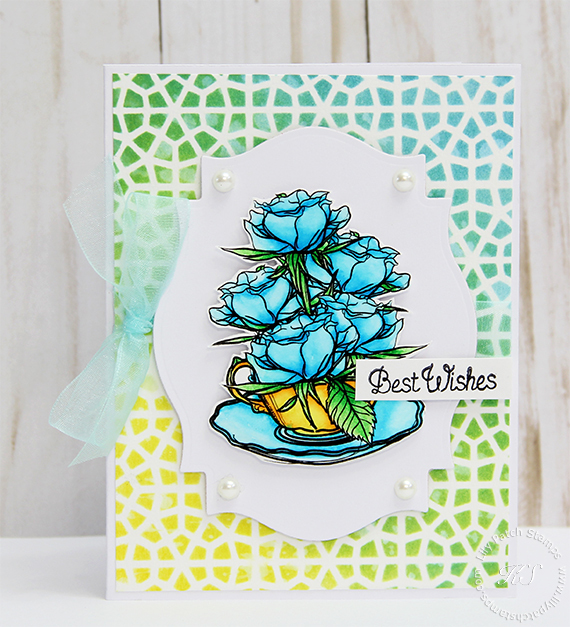 Today I am using this beautiful A Cup of Roses stamp from Stamploration. I had the image colored a while ago and was just waiting for me to put it together. I also fussy cut the image using my cutting machine. I had colored the image using Zig Clean Color Real Brushes but didn't write down the numbers so I can't reference them for this post. I used Distress Inks to stencil the background. It's been a while since I've added ribbon and other bling to my cards but it was just one of those days where I just felt like pulling out my stuff to play. I popped up the image and sentiment using 3-D foam tape to give it dimension. The bright colors and stenciled background are wonderful. Very pretty card! A lovely crackle background and then a beautifully stamped floral image, many thanks for joining in with your inspirational theme at Stamping Sensations challenge. Very pretty card!! 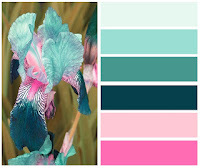 I love colors & design. Thank for playing with us at Di's Digi challenge. Kim, I love this! 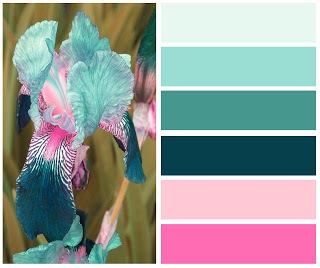 Coloring and color palette is so pretty. Your stenciled background is perfect and really pops your image to the forefront. Beautiful! Thanks for joining in at the PIP challenge this week 😁. What a gorgeous make...Thank you for sharing with us at World Wide Open...And good luck..Hope to see you again next month..